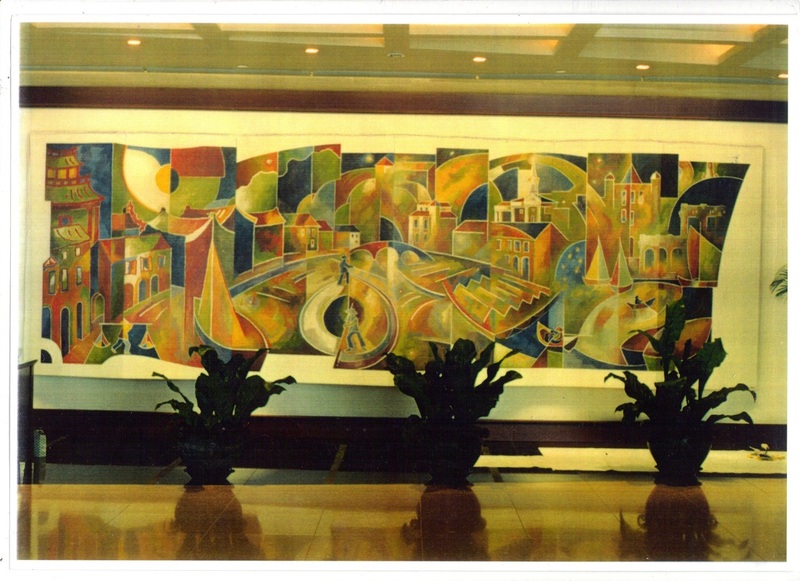 Monumental works on canvas, mural-walls and sculptural panel shapes. Designed and painted in my studio as a multiple of panels or shapes to be easily fitted together on-site for wall mounting, free-standing or in suspension. On-site design and painting is an option, such as large architectural projects where ongoing interaction with the building construction is necessary and also to enable the sourcing of local historic information and drawing from local imagery. Email: for any queries or quotes. Please come back soon for more images . . .